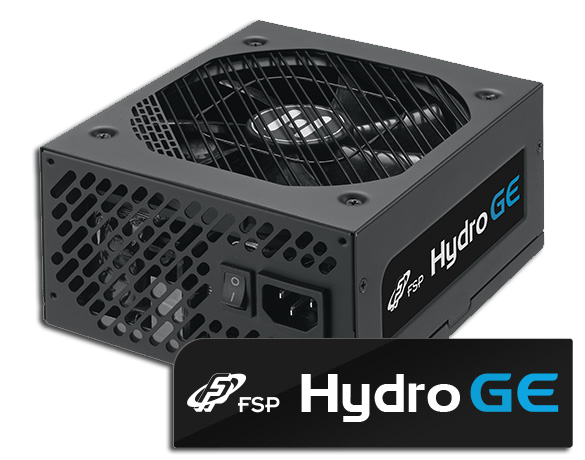 FSP’s latest PSU - Hydro PTM+ is a unique, patented liquid-cooled PSU developed to meet the industry’s highest safety standards. 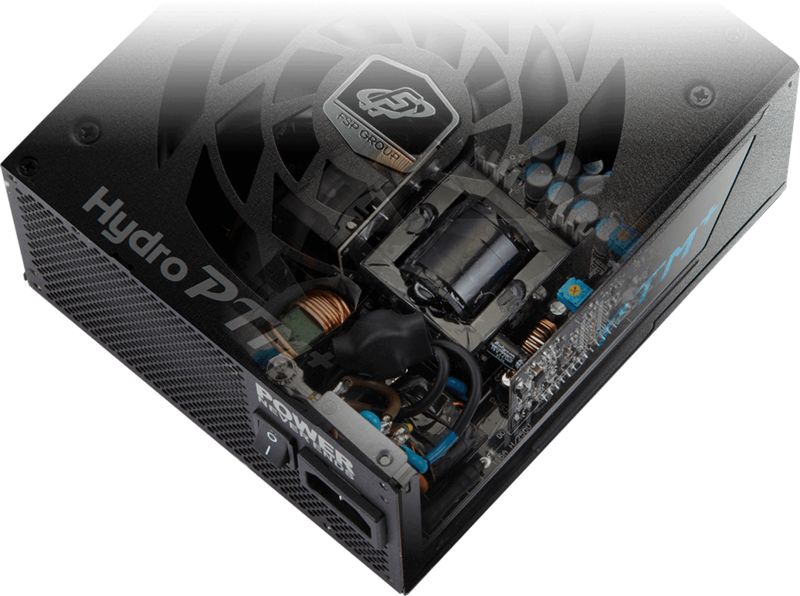 Created exclusively in collaboration with Bitspower, a renowned maker of liquid cooling solutions for PC. 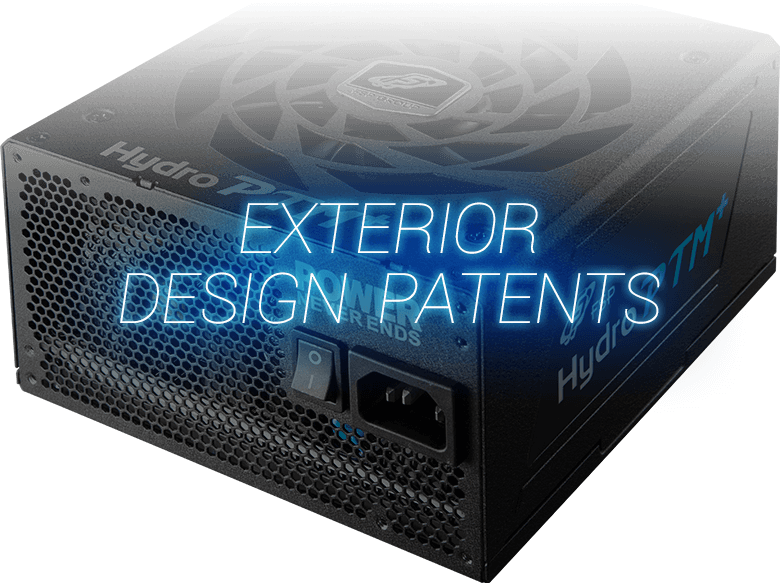 This is the world's first mass-produced liquid-cooled PSU with 80 PLUS® Platinum certification and stunning LED lights to ensure that your system will always stand out. 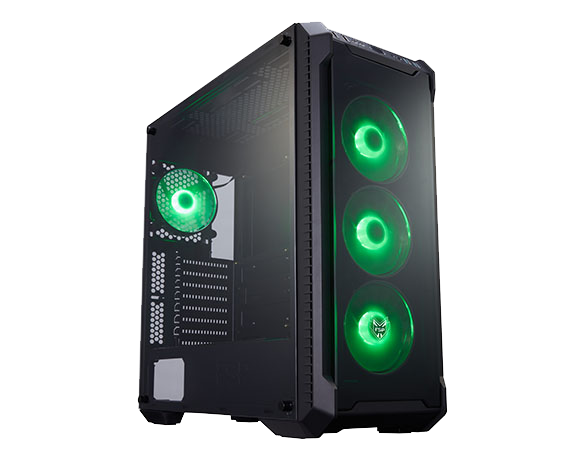 With the liquid cooling feature enabled, the 1200W model is able to increase its power rating from 1200W to 1400W, while the 850W is able to increase its power rating from 850W to 1000W. It delivers extra power without the need of the PSU fan for cooling, while still remaining efficient (below 50%) when running in silent mode. 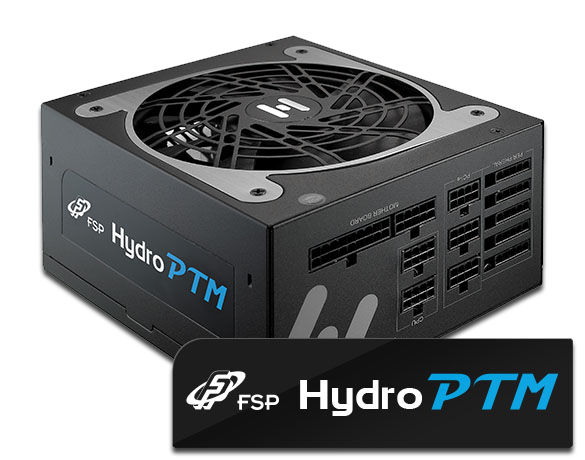 Any serious PC build enthusiast will simply love HYDRO PTM+. 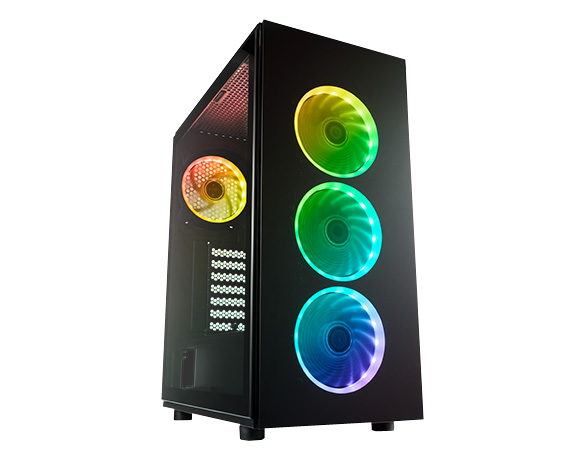 Its unique combination of features includes: gorgeous LED RGB lighting, a power rating of 850W when air cooled, going up to 1000W when liquid cooled, and an 80 PLUS® Platinum certification with 92% efficiency rating. 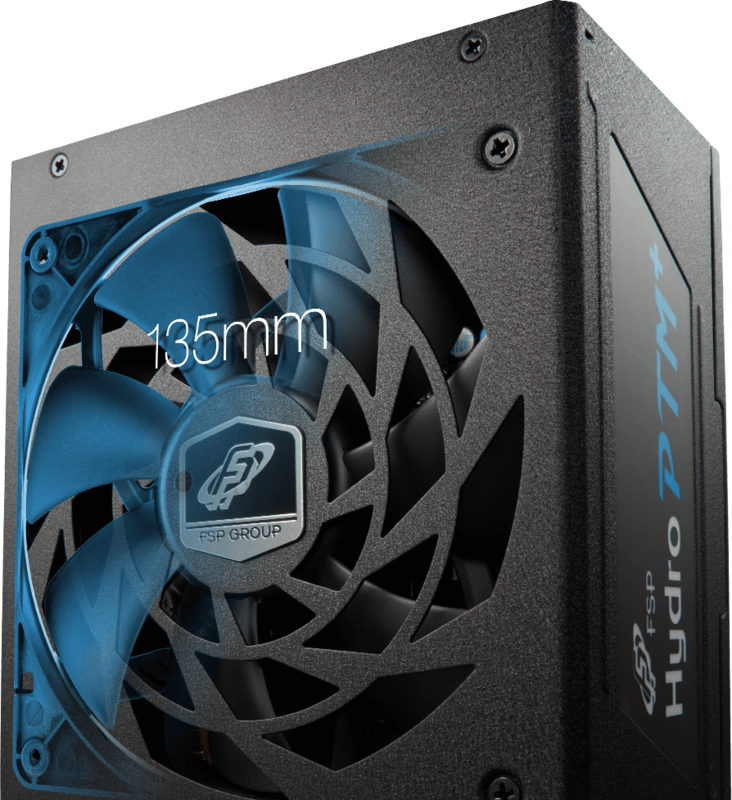 HYDRO PTM+ 850W was built to be silent. Fanless mode (0 dBA) is engaged at below 50% of system load for silent operation when water-cooling is installed. Once surpassing the predefined thermal limitation, the 135 mm FDB fan automatically and dynamically starts to spin according to the system load. FSP has teamed up with ASUS to bring Aura Sync RGB lighting technology, enabled through Aura Sync compatible motherboards, providing a nearly endless spectrum of RGB lighting colors and patterns for your system.